A new sector has just been developed in Camarasa: Sector Dexter. The sector is located between Capricho del Vicho (Lleida Climbs 2 pages 48-49) and Fashion (Lleida Climbs 2 pages 60-61) on the higher level cliffs. 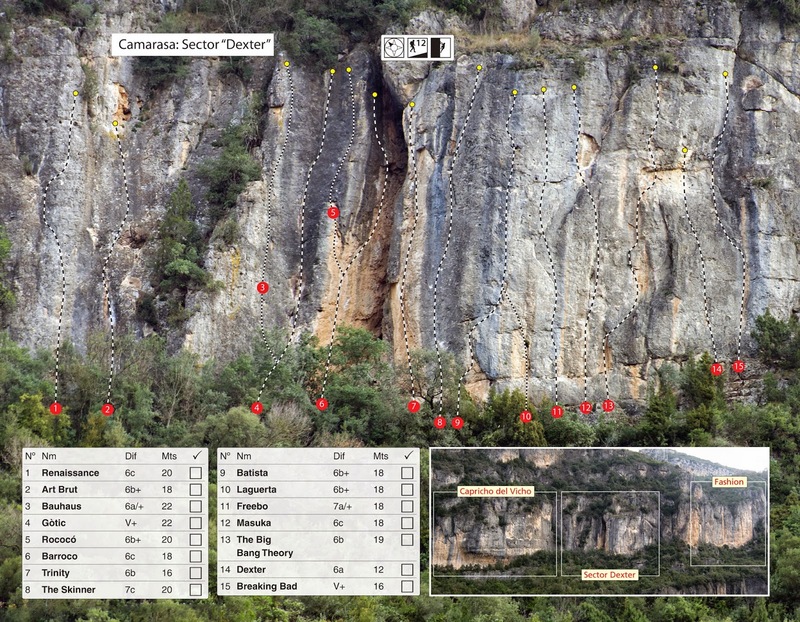 This is not a big sector (15 routes/maximum 22m) but the rock is excellent and the climbing superb. All routes equipped by Albert Cortés and Pete O'Donovan during January/February 2014. Material donated by Lleida Climbs. Congratulations and thanks for the update!